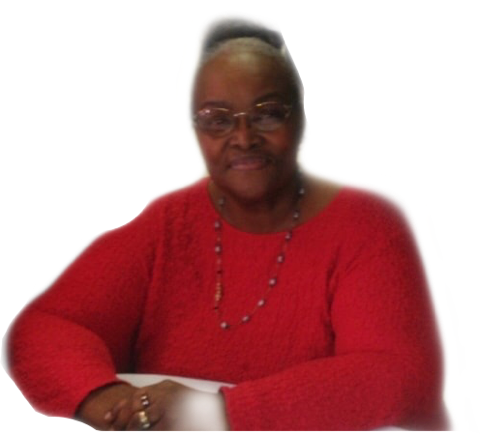 A homegoing celebration for Mrs. Bernice Opal Octavia Brown of Tampa, Florida who passed away on Wednesday, October 10, 2018 will be held Saturday, October 20th, 11:00 a.m. at Grace Mary M.B. Church, 3901 N. 37th Street, Elder Dr. Thomas J. Reed, pastor, Pastor James R. Reed, Jr. officiating. The interment will be in Rest Haven Memorial Park Cemetery. Bernice Opal Octavia Brown was born January 27, 1951 in Millen, Georgia to the late Willie and Corine Morris. She was educated in the public schools of Hillsborough County and graduated from Brandon High School. Bernice attended Grace Mary M.B. Church. She enjoyed cooking and sewing. She was preceded in death by her parents, sons, Damian Brown, John R. Brown, Jr., Avery Mathis and Ronald Brown; sister, Christine Former and brothers, Allen Morris and David Earl Morris. She leaves to cherish her precious memories with her devoted husband, John R. Brown, Sr.; children, Dan Mathis (Sharon), Derrick Mathis (Marvina) and Gabriel Brown, Delatoria Brown (Rhonda) and Jennifer Brown; brother, Jerome Morris; sisters, Mary Pittman, Shirley Jean Morris, Willie Mae Crawford (Noble) of Dallas, Texas and Stephania Price of Savannah, Georgia; grandchildren, Dannisha Mathis, Danielle Mathis, Danbrinae Mathis, Greyson Brown, Jermiah Brown, Destiny Mathis, Gerald Rhoden (Jeanene), Javaris Brown, Kristian Brown, Tia Brown, Eshia Brown and Marquis Brown; a host of great-grandchildren, nieces, nephews, cousins and other relatives that will miss her. The visitation will be held at Aikens Funeral Home on Friday, October 19th from 5:00 to 7:00 p.m. The family will receive friends from 5:00 to 6:00 p.m. The family and friends are asked to meet at the church on Saturday for the service.